Do you ever ask yourself why the first celebration of Holy Communion that we have says nothing about the forgiveness of sins, why the Apostle Paul is very careful about the way he describes the cup as a new covenant, or why doesn't he demand that the leader of the congregation in Corinth straighten these folk out? What happened that caused Holy Communion today to become all about the forgiveness of sin? Would those Corinthians have any conception of a charge that they had caused Jesus to die for them? Paul doesn't accuse them. 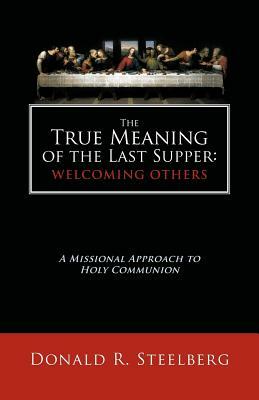 "The True Meaning of the Last Supper: Welcoming Others "seeks answers for these and other questions. Developments in church life in the first century described in the pages of the New Testament-but also gleaned from the history of that first century and succeeding years-may change your understanding of Communion today.